It’s only been 3 years since Circa Waves’ debut album, Young Chasers, was released to critical acclaim. 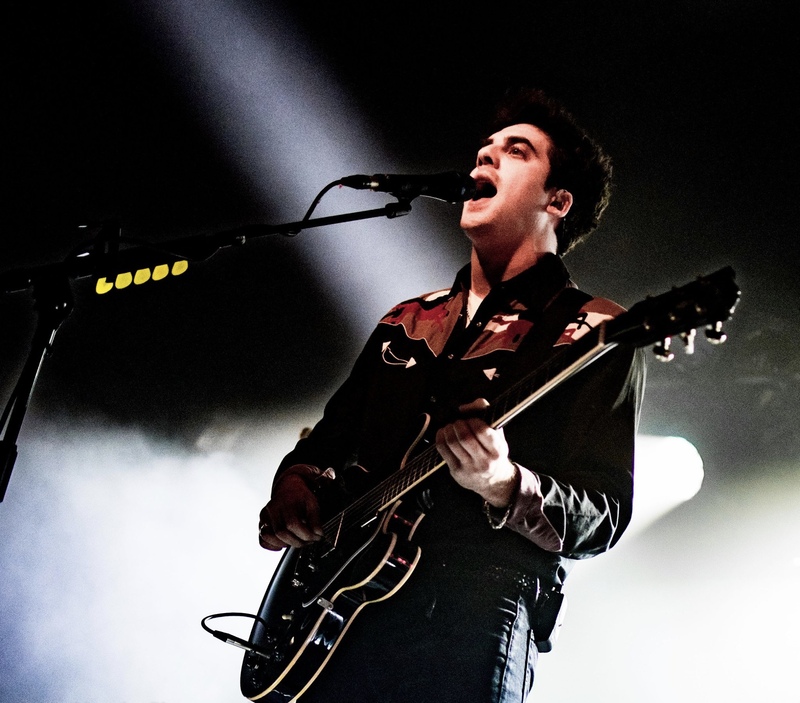 Having played with the likes of Temples, Royal Blood, Interpol, The 1975 and Libertines, as well as countless festival appearances, the band have been making a name for themselves as a live act to be reckoned with across Europe and beyond. 2017’s second album, Different Creatures, showed a growing maturity and sold to an ever growing fan base. 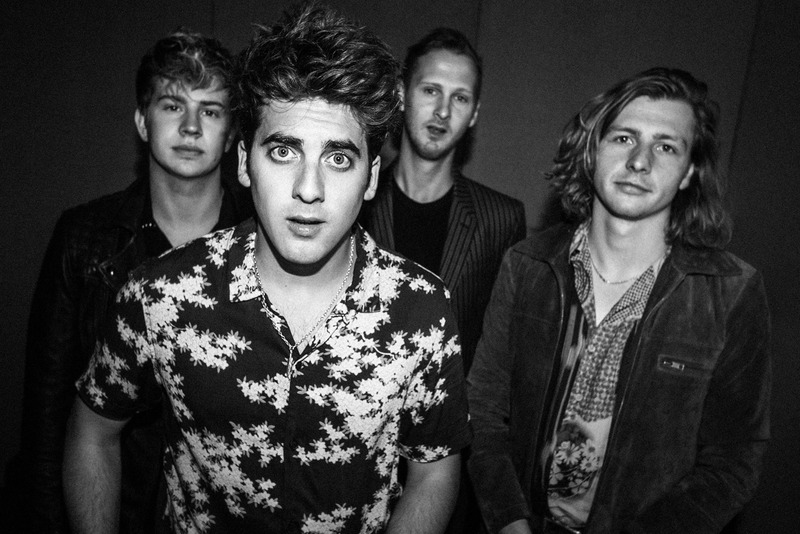 Now, Circa Waves have just completed their third album. We managed to catch up with the boys before their slot on the main stage. Hi guys, how’s it going, is the summer a busy period for you? Well, the weekend of Y-Not was just a one-off festival but during the weekend we had three gigs! We played Scarborough supporting Stereophonic’s then after that we went to Truck Festival, and then we went straight to Moscow! So, it was a bit of a mad and strange weekend. We were in and out of Moscow as we only had 24 hours there – Pretty much the same as the other places we were in and out of, Scarborough we saw the sea briefly then played with our childhood heroes, but we didn’t get to see them because we had to get straight off to Truck! When you are supporting bands, you are on totally different time schedules, so they will be eating while your sound checking, and then they play and must leave or you get to see like half a song. Unless you’re doing a run of about two weeks you don’t spend much (if any) time with them. What have Circa Waves got coming up? We have a few more festivals to play, maybe about three or four left and we have finished the new album. We are just working on all the other stuff that comes along with that, it takes a lot of time, a lot of the other stuff that people don’t actually see that also goes into making a record. It’s good though because it’s our third time doing this now, so I feel like we can get it right – ha not that we got it wrong last time! You’ve a new third album, which has been described as your most varied and cinematic record. So, how does this album differ from the last? I think the first to second record there’s definitely a difference and then from second to third there is still a difference. We are not the sort of people to do the same thing. Firstly, you’ve got to entertain yourselves, you can’t just keep doing the same thing over and over, and secondly, I think if you try to write something that is the same as before, you’re inevitably going to fail. I think on this album, it’s different again but it still maintains the core of the band like the last two records, but we are trying to challenge the idea of what a Circa Waves song might be. Any expectation anyone might have, we want to challenge that a bit. Do you feel any pressure on you to progress? I feel like there are bands who could easily stand still and do the same thing but there’s never a progression. Not to the way that we want to in our career, like we could still do the first record stuff, but I don’t think it would be healthy. What advice would you give to people starting out in a band and trying to get known? It’s quite generic advice I think, don’t give up. I’ve done this since I was twelve or thirteen years old and you get disheartened from stuff like not getting a gig or whatever you want to do, but just don’t stop, if you want it you will do it and you will put everything into it. Was there anything you did that helped the band get recognised? I think there’s not one in particular thing you can do but you just have to keep writing songs until you get better. When you write a bunch of songs it’s never going to be the first time around, so you have to constantly go and play gigs and talk to people. What’s been your best gig to date? It’s always the dates on the tour that I always look forward to, and they are Manchester and Glasgow. What I really love is when you go somewhere and you expect very little and then you have like the best time.